Packing is an integral part of property removals yet it takes time, effort, resources and some skill to pack and secure items properly, especially the odd ones. X Removals can provide its private and business customers with professional and affordable packing service in London which ensures safe handling and transportation of all valuables. Our packing service is quick and efficient, there will be no delays or errors. We recommend packing all items destined for removal, regardless of their value as this will give you, and our removal teams more peace of mind and prevent any damage during handling and transit, as unlikely an event this may be. In most cases, items must be packed separately which makes the process itself trickier and more time consuming, this is why we work with qualified and experienced technicians who will approach the job with the due precision and apply the right skills and expertise. All packing procedures will be done quickly, safely and properly, as to prevent damage to valuables and the property, this is especially important when dealing with bulky, heavy or odd items. Our professional packing service is also available as standalone, so we can come out to any customer specified address and perform the necessary packing and securing procedures so that items are protected, regardless of when and where they are going next. When customers have requested packing as part of their home or office removal, our technicians can come onsite prior to the actual relocation and perform packing and securing of items in advance. In case circumstances do not allow this, we can do the packing on the actual removal day, as quickly as possible in order to avoid delays and keep things on schedule. As expected, we use only high quality, durable packing and wrapping materials able to withstand the weight of items during handling and transit. We have access to various, professional grade packing and wrapping materials supplied by trusted manufacturers and suppliers. 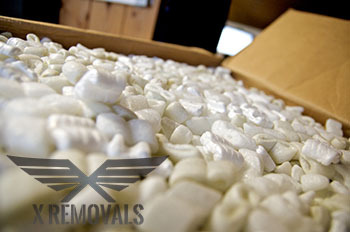 This allows us to provide reliable and efficient packing service in London without margin for error. Of course, unpacking and distribution of items upon delivery can also be requested. Our technicians will quickly remove all wrapping and packing, and arrange items as per customer requirements. All discarded packing materials will be collected and recycled. Those still good for use will be reused. Whether requested as standalone or as part of the removal, our packing service delivers the necessary cost efficiency, and will not burden your home or business budget. Do not make compromises with the manner in which you prepare your goods for the road. There is really no need to compromise the safety of your precious personal items and furniture while they are being transported across the capital. Just book our packing service in London and leave everything in our experienced and skilful hands. You know that is indeed the right thing to do. London is a global metropolis and a very important place all around. The capital of England was originally established as a Roman military camp on the north bank of the Thames, but today it occupies huge territories on both sides of the River. London is divided into Inner and Greater London, and consists of as many as 32 distinct smaller territories that are called boroughs. Some of the best known London boroughs are Chelsea, Richmond, Greenwich and others.